In 1963 the Israeli foreign ministry invited Johannes Bogaard, a Dutch farmer, to Israel on an official visit. He was awarded the “Righteous Among the Nations” title by Yad Vashem, the National Holocaust Memorial Authority, for saving some 300 Jewish children from certain death during the Holocaust, between 1941 and 1945. The ceremony included planting a tree in his honor. When the Nazis (who invaded Holland in 1940) began deporting all the Jews of Holland to concentration camps, Bogaard made up his mind – he had to hide them in order to save their lives. He contacted a Jewish orphanage in Amsterdam and gradually, one small group at the time, started to transfer the children to the country side, where he had hosting families for them. 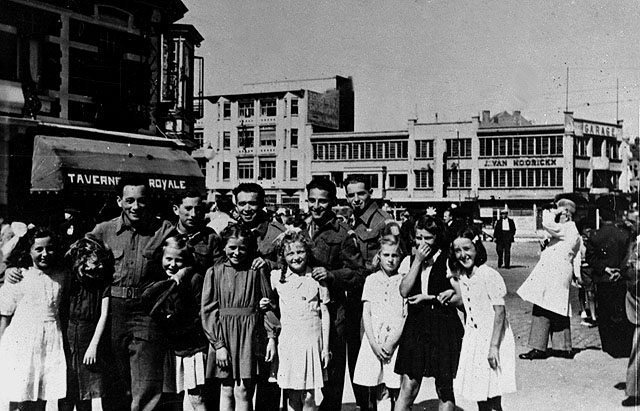 It wasn’t easy to persuade Dutch families to hide Jewish children, as they all knew they were risking their own life and their own children. The Nazis made it very clear that death penalty would be imposed on those who helped the Jews. Some families hosted the kids in hiding places, and some pretended to be their hosting relatives. Bogaard became more and more occupied with his rescue operation, and left the farm in the hands of his wife, sons, and two brothers. While he was getting short of hosting families, there were more and more misplaced children, so he had a long bunker constructed in his fields, covered in hay, with two exits. This bunker was a temporary hiding place for children before he was able to bring them to a family. At times, 30 children or more were hiding there. The kids called him Omm Hannes (uncle Hannes), and his reputation as a rescuer reached many people. He started to receive lots of personal cries for help from Jews who wished to hide their children. His family took care of the kids while he was most of the time away from home, taking care of funds, food, fake documents and recruiting volunteers. In October 1943 the Dutch local police heard about the rescue operation and found out about the hidden bunker, from the village’s butcher apprentice, who suspected the Bogaards for buying large amounts. 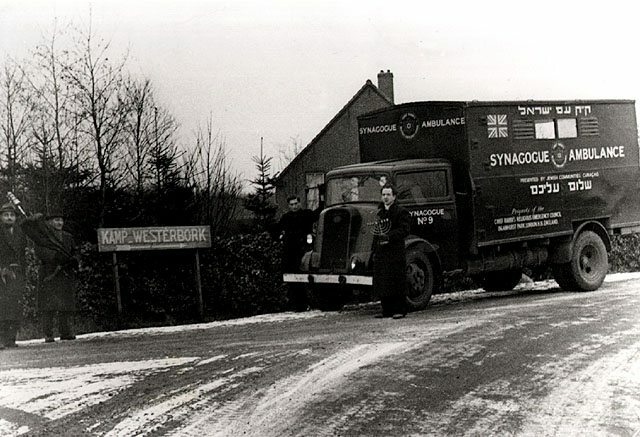 Armed Dutch policemen, led by Nazis, raided the farm one day, while 27 Jewish kids and one Christian young man, member of the Dutch resistance, where hiding in the bunker. The resistance man faced the front end of the bunker, pointing one single small pistol at the armed squad, while shouting at the children to leave through the rear end and run to the sugar beet fields. He was killed in seconds, but his brave action allowed all the children to escape and hide in the fields. At the same time Bogaard was away. The Nazis burnt down the farm, sent his brother and his 19 years old son to Sachsenhausen, where they perished, and also murdered his old father and hung him at the doorway of the ruined farmhouse. Coming back home late at night by bus, Johannes was warned not to return to his village. Even after this horrible punishment, he went on rescuing over 300 children until the end of the war in 1945. My father, Arje Paz (1936-1982), was seven years old that day, when the Nazis raided the Bogaard’s farm. He was one of the 27 children who escaped and saved. He used to tell us that the sugar beet short field was very thorny and that he was barefoot, because an older girl in the bunker was repairing his socks. He waited for hours and at night, a stranger came and took him on his bike to another farm nearby, there they agreed to hide him for some time. Arje came to Israel in 1949 and settled in Nazareth Illit. In 1963, on the occasion of the “Righteous Among the Nations” ceremony, he met with his rescuer, Johannes Bogaard, which must have been a heart stirring meeting for both of them. Uncle Hannes died in 1974, when he was 83 years old.